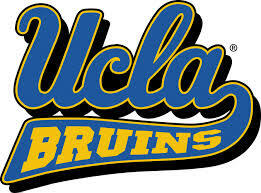 University of California at Los Angeles had a total graduate engineering enrollment of 1,776 students for the year 2013. With a total annual tuition fee of $28,000 approximately, it is one of the expensive graduate schools in the U.S. It is ranked 16th on the top engineering schools in the U.S. and number 13 on the top Electrical Engineering programs in the U.S. Recently one applicant from Pakistan got admission to the electrical engineering Masters program at UCLA on graduate research assistantship – which is paying all of his expenses. He has decided to share with us his professional profile so that other students may benefit from it. Please note that this profile will only help you gauge where you stand but is by no means a confirmation of getting in UCLA. SEE ALSO: Scholarships Available in the U.S. for Pakistani Students! SEE ALSO: Things to Know About GRE Score! Projects 3 academic projects with an A grade in each. Work Experience 5 years of work experience at a Multinational EDA technology leader. Research Papers 3 international publications at renowned conferences. These publications were the main reason I got the Graduate Research Assistantship. Letter of Recommendation 3 from professors (all PhD’s from U.S.), 1 from senior manager. My reference letters were all written by myself as my professors did not had much time. They then reviewed them and sent them to the universities. Test Preparation I spent 2 months on my GRE preparation. I only used the GRE official guide by ETS and learned 800 new words from the Manhattan flash cards and Word smart. Personal Statement I prepared the personal statement on my own and focused on my experiences and academics and connected them to my future aspirations. SEE ALSO: What Should Be the Tone of Your Personal Statement? Any Advice for future Pakistani applicatns? You must start the application process early – at least 5 months before the deadlines. Work on getting a few publications since they are very important for graduate studies (and financial aid) for a research based program. I’m also from Electrical Engineering,UET LAHORE.My 4th semester is about to start and my CGPA is not that much.The only thing troubling me is the “Work Experience”. Kindly throw some light on it. Work experience is preferred by top schools like UCLA – especially if you want funding! Is it possible I can get funding without GRE I have five year research and teaching experience at Quaid-I-Azam University Islamabad, Pak. 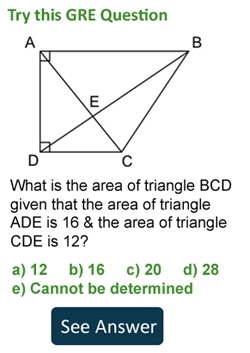 Hi, Well GRE is a core requirement and one cannot get anything in the US without it. Hi. Am a Metallurgy and Materials Engineer,3.31/4.00 CGPA,have working experience in Pakaian as well as in Oman in oil and gas field. er GRE i have to go directly for admition or first i have to contact to any professor to get aproved for tha acceptance letter?? research papers are compulory for getting admision? ?